What will Oprah wear to the wedding? Gayle King’s daughter Kirby Bumpus announced her engagement via social media Sunday, and she couldn’t have been more excited to share the moment with her mom and brother, who both surprised her in Washington, D.C., after the engagement took place this weekend. “Here. WE. Go!” Bumpus, 32, captioned a stunning selfie of herself and her fiance, Virgil Miller. Bumpus, Oprah’s goddaughter and also the head of social impact and inclusion at Sweetgreen, jokingly used the hashtag: “Please tell me how my momma posted before I did.” In the photo, Bumpus shows off an impressive square cut diamond sparkler as she and Miller, the chief of staff to Rep. Cedric Richmond (D-La. ), grin at the camera. King, 64, indeed tried to one-up her daughter, posting a series of sweet photos from the surprise moment, including a video in which she and her son, William, emerged from behind a barrier at a restaurant, to Bumpus’ delight. King’s many famous friends chimed in with their congratulations. King’s CBS This Morning co-host Norah O’Donnell similarly weighed in. “Congrats @kirbybump,” she wrote. Maria Shriver, whose daughter Katherine got engaged to actor Chris Pratt last month, also offered up her congratulations. “Omg so exciting,” she wrote. Winfrey has yet to weigh in, though no doubt when she does, it’ll be a tribute for the ages. Another talk show personality to celebrate an engagement this weekend was Katie Couric, whose daughter Ellie also received a proposal on Sunday. 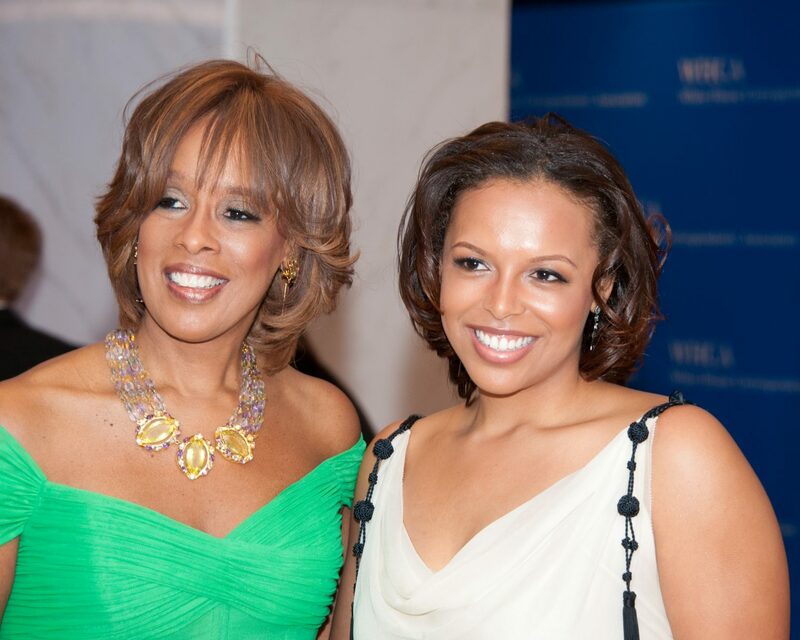 Be the first to comment on "Gayle King’s Daughter Kirby Bumpus Is Engaged: See the Gorgeous Ring"